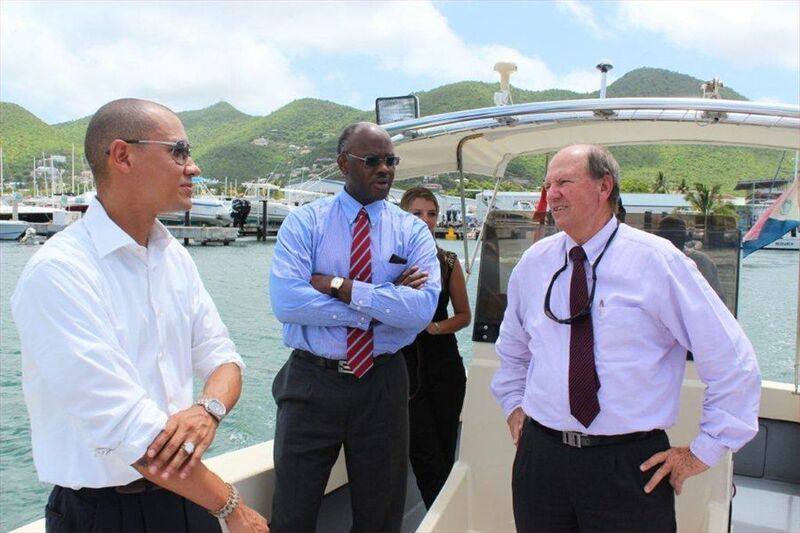 Harbour View – His Excellency the Governor of Sint Maarten, drs. E.B. Holiday, paid a working visit to the Nature Foundation. The Governor met with the executive board of the Nature Foundation and Mr. Beervoets general-manager Nature Foundation. During the visit the Nature Foundation highlighted its effort to eradicate the evasive Lion Fish and the techniques used to clean up oil spills. The Governor spoke with the board about the future of the Nature Foundation and the challenges it faces with regard to funding and adequate personnel. Furthermore, the Governor thanked the Nature Foundation for the work it has done to promote environmental awareness through various projects, like children’s education. The Governor was taken on a patrol of the Simpson bay Lagoon aboard the Yellow Tail boat and got a view of the newest project of the Nature Foundation, the preservation of the mangrove forest near the Blue Mall at Porto Cupecoy.